Nigeria has been declared Ebola-free. “What accounts for this great news? To a large extent, the answer is straightforward: the country’s strong leadership and effective coordination of the response. The Nigerian response to the outbreak was greatly aided by the rapid utilization of a national public institution (NCDC) and the prompt establishment of an Emergency Operations Centre, supported by the Disease Prevention and Control Cluster within the WHO country office. 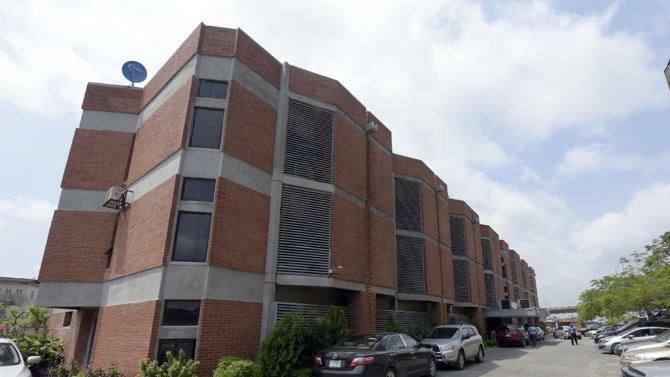 Another key asset was the country’s first-rate virology laboratory affiliated with the Lagos University Teaching Hospital. That laboratory was staffed and equipped to quickly and reliably diagnose a case of Ebola virus disease, which ensured that containment measures could begin with the shortest possible delay. WHO however is clear about this: the success in Nigeria was mostly as a result of NIGERIAN action. Why then does the Washington Post not credit a single Nigerian body? This is very poor journalism. This is the kind of journalism that is not about informing the reader but about making sure that the readers’ real and imagined petty prejudices remain undisturbed. In the mind of the Washington Post, the American reader thinks that all the problems in the world are solved because of American action. And the American reader expects that Africa is a continent of people who cannot act, who are limp dolls, who have no agency. And so the American reader has not been informed about this simple truth: it is mostly local Nigerian action that helped contain Ebola in Nigeria. All well and good. America The Beautiful. But if you are going to have that level of detail in a newspaper piece, why not start with the most significant details? First Consultants Hospital in Lagos and Dr. Ameyo Adadevoh. Nigeria is a country that has no history with Ebola. We Nigerians think Ebola happens to other Africans. So in comes a man with symptoms. If he had not gone to a good hospital and if he had not been diagnosed by an excellent and conscientious doctor (who I am assuming had never had to diagnose Ebola in the past) and if the staff of First Consultants Hospital had not resisted the intense political pressure to release the Ebola patient and if hundreds of Nigerians had not volunteered in the Ebola effort and if federal and state governments had not acted quickly and if religious and community leaders had not educated their members, then Nigeria would have ended up with a big Ebola outbreak like Sierra Leone. Even with a thousand American CDC experts. And if Doctors Without Borders and the American CDC are solely responsible for the success in Nigeria, why have they not succeeded in other countries? Are we to assume that they are not helping our brothers and sisters in Liberia and Guinea and Sierra Leone? This is not to discredit the wonderful work of so many dedicated foreigners (more on Doctors Without Borders, tomorrow) but the story of Ebola in Nigeria must be told with honesty, and without the small-minded arrogance that comes with power. If a doctor like Ameyo Adadevoh had been in that Dallas Hospital the first time the Liberian Ebola patient arrived with symptoms, perhaps the United States would not be in the Ebola panic that it is in now. Sometimes it takes a small, local effort to prevent a catastrophe. Those small, local efforts must be acknowledged – and encouraged.